Honest to goodness, it’s in the news this morning, and it’s all about the ABT. 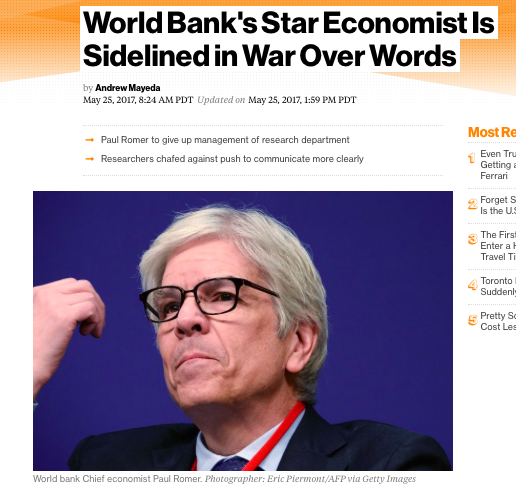 World Bank Chief Economist Paul Romer has been trying to get World Bank folks to reduce their use of the word “and.” He’s demanded final reports not have “and” be more than 2.6% of total words. YES! He gets it! This is narrative warfare! This is a case for the ABT! 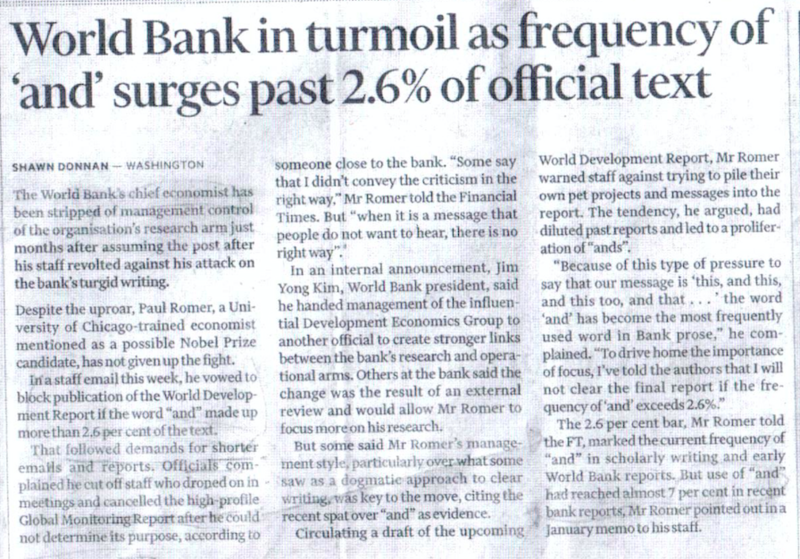 World Bank Chief Economist Paul Romer has “stripped of management duties” after sending too many memos trying to combat the plague of “Bankspeak” that exists at the World Bank. He is my new official hero! There’s a bunch of articles this week, but this one is perhaps most direct, in Bloomberg News. Somebody needs to get him a Narrative Spectrum refrigerator magnet. Paul Romer is a warrior in The War on Boredom!